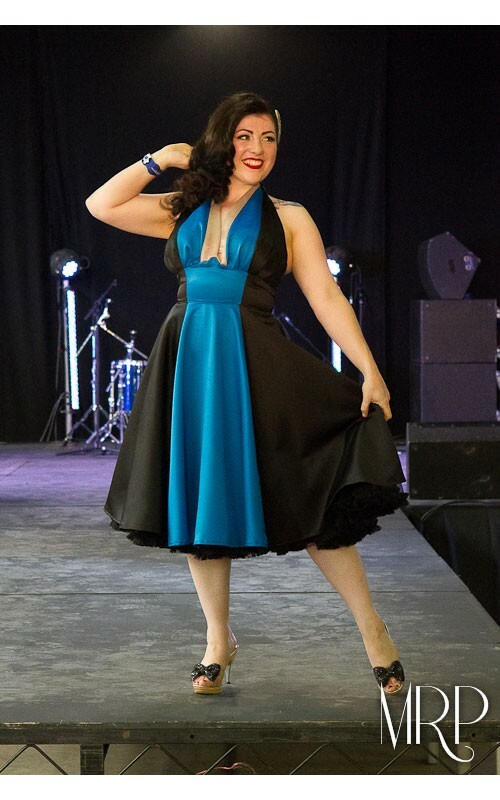 Stunning swing dress made from rigid duchess satin. Full skirt with a halterneck top and elasticated top hem at the back for a better fit. Contrasting front panel flatters the figure.